Living Water: Are you Thirsty? Are you thirsty? Do you feel the desperate need for the Holy Spirit in your life and ministry? Do you want to learn how to lean on Him more? Brother Yun told the story of his persecution as a church planter and evangelist in China in The Heavenly Man. He suffered brutal beatings, electrocution, malnourishment, and repeated imprisonments for the gospel, and he considered it all joy to join in the fellowship of Christ’s sufferings. His new book Living Water is collected from his teachings, many of them given to Western churches. Some of the principles may seem basic to Western Christians with theological knowledge, but his challenging calls to obey the Bible’s teachings are anything but boring. Brother Yun is the only Christian I know of today who is writing in a radical way about the necessity of persecution for Christians. Listen to these quotes and consider how they apply to your walk with the Lord, our fellowship as a whole. “When I’m in the West, I see all the mighty church buildings and all the expensive equipment, plush carpets and state-of-the-art sound systems. I can assure the Western church with absolute certainty that you don’t need any more church buildings. Church buildings will never bring the revival you seek. The pursuit of more possession will also fail to bring revival.” Instead he says we need teachings that contain the “sharp truths” of Scripture, and obedience to those truths. I still have a few chapters left to read so more quotations may be forthcoming. I do recommend the book for if you are willing to look past the “basic teachings” and question whether you are really following them. In other words, be forewarned: contains highly convicting material. My heart is heavy as I write, but at the same time it is buoyed up by God’s Word and His work in our midst. Although we were saddened by the signage outside CT, how much greater is the joy of two salvations in one week! Blogging about persecution is all the rage, so I’ll piggyback off Tom’s, Dar’s, and Joe’s recent blogs. I have a few anecdotes to add, but mostly I want to suggest specific ways we can learn to handle to persecution faithfully and graciously. First I want to share my experiences with the limitation of Christian free speech, which I would not call persecution, but which illustrate the anti-Christian atmosphere in the education system. I taught British literature and the textbook included an excerpt from the King James Bible. The parable of the prodigal son appeared along with offerings from other sacred texts, which had nothing to do with British lit. I was excited about the opportunity to teach the prodigal son since it’s a beautiful picture of God’s grace. When the kids opened their books to it, they asked, “Are we allowed to read this?” and “Can we talk about God?” The latter question came up throughout the year when there was a connection between their reading and a spiritual topic. I assured them of our right to free speech, and pointed out the parable was in the textbook, after all. Another instance occurred in the teacher work room (the new name for the teacher’s lounge) between two teachers who often touted their liberal beliefs. Intolerant, huh? These politically correct, Democratic educators wouldn’t speak about Jews, Muslims, blacks, or Asians that way, but they saw nothing wrong with cursing Christians in the presence of others who might (and do) follow Christ. Argument seemed fruitless so I remained quiet, but I wish they knew they insulted me under the banner of tolerance. 1. We should be aware of what global persecution looks like to get a perspective on our own suffering. 2. We should pray for these fellow believers who are facing dire circumstances. Our prayers can help them to be released from jail and/or torture, comfort them in their suffering, and increase their spiritual fruit. We should just pray against persecution, but that they would remain faithful and that God will work powerfully through it. 3. We can learn so much from how they view and handle persecution. It is clear in many of the issues that Christians in other countries expect persecution and view it as completely normal. When they accept Christ they realize they will likely be beaten or imprisoned for their beliefs. And they truly “consider it all joy” despite the pain and suffering because they experience God’s love and often see more people come to know Jesus. They also pray faithfully for their persecutors, and some have been led to Christ. Third, we need to learn what the Bible has to say about persecution. I suggest we not only become familiar with the theology of persecution, but also memorize a few verses about persecution and spiritual warfare. Dar’s blog included 1 Peter 4:1-19 and there’s a video of Keith’s recent teaching. There is almost an overwhelming amount of verses on the topic, but that just shows how normal persecution is and how important it is that we handle it correctly, as an opportunity for the gospel. Therefore, take up the full armor of God, so that you will be able to resist in the evil day, and having done everything, to stand firm. Stand firm therefore, HAVING GIRDED YOUR LOINS WITH TRUTH, and HAVING PUT ON THE BREASTPLATE OF RIGHTEOUSNESS, and having shod YOUR FEET WITH THE PREPARATION OF THE GOSPEL OF PEACE; in addition to all, taking up the shield of faith with which you will be able to extinguish all the flaming arrows of the evil one. And take THE HELMET OF SALVATION, and the sword of the Spirit, which is the word of God. With all prayer and petition pray at all times in the Spirit, and with this in view, be on the alert with all perseverance and petition for all the saints. 1. Evidence Not Seen by Darlene Deibler Rose. She was imprisoned and malnourished but clung to God, and He came through. 2. Through the Gates of Splendor by Elisabeth Elliot. It’s the first-hand account of the story depicted in the film End of the Spear and illustrates Dietrich Bonhoeffer’s statement that “the blood of the martyrs is the seed of the church.” Although written by a woman, this is not a “girly” book and includes many excerpts from the husbands’ journals about their flights over the Amazon jungles. 3. The Hiding Place by Corrie ten Boom. She wasn’t a missionary but this Dutch Christian hid Jews during the Holocaust and paid the price for opposing the Nazi Germany. 4. Secret Believers by Brother Andrew. This fictionalized compilation of true stories shows the conversions, growth, and persecution of Muslim Background Believers (MBBs). It’s an eye-opening look at what Muslims face when they come to Christ. 5. Hudson Taylor’s Spiritual Secret by Dr. and Mrs. Howard Taylor, Hudson Taylor’s grandson and wife. He pioneered the Inland China missions movement of the 1800s and is the spiritual grandfather of the rapidly growing underground church movement in China. He experienced many obstacles in war-torn, third-world China and his diaries share the spiritual secret that kept him going. 6. The Peace Child by Don Richardson. 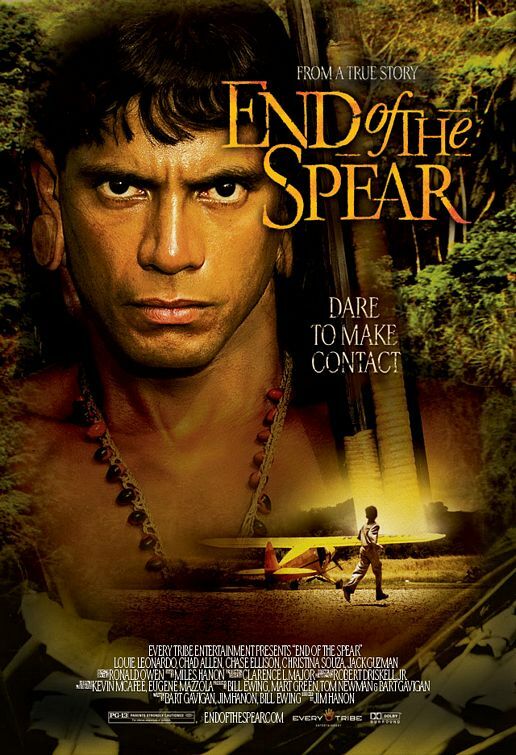 He took his wife and young children to the Indonesian jungle to reach a cannibal tribe whose highest value was betrayal. The author will likely teach at the upcoming Perspectives course (perspectives.org). There are many more books; please post other suggestions in the comments. Reading about these ordinary people who lived William Carey’s admonition to “expect great things from God; attempt great things for God” can give us the courage to enter with them into the “fellowship of Christ’s suffering” (Philippians 3:15).